Creating impressive landscape design is a real art and great labour which requires knowledge of fundamentals of design, architecture, construction, plant growing, culture, history, philosophy. Additionally, to achieve success you need have good artistic abilities. But now thanks to the ConceptDraw DIAGRAM software, you can easy concentrate on the creation the landscape masterpieces, without worrying about drawing. ConceptDraw DIAGRAM diagramming and vector drawing software extended with Landscape & Garden Solution from the Building Plans area of ConceptDraw Solution Park offers powerful drawing tools and numerous collection of pre-designed vector objects for effective landscape design. 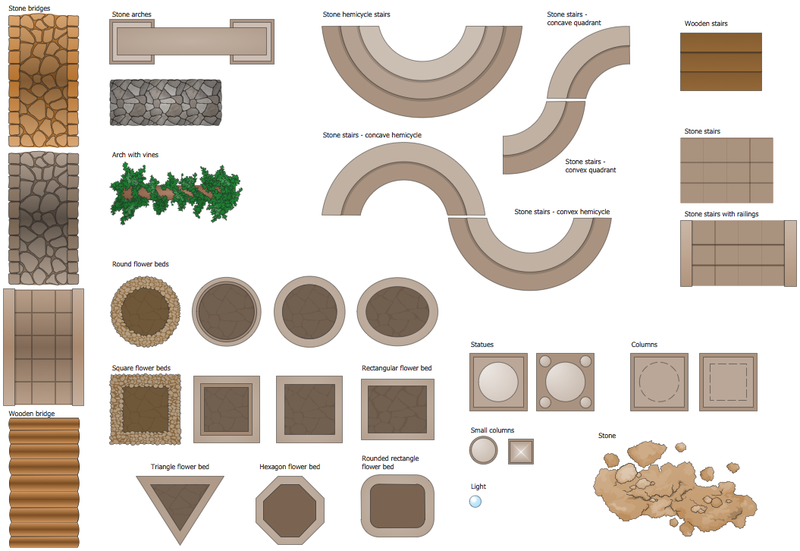 Landscape & Garden Solution offers 14 libraries with 420 ready-to-use landscape and garden elements, flowers, trees, ponds, fountains, furniture, recreational equipment, and more other vector objects for fast and easy designing landscape plan of any complexity. Let's take a closer look at these libraries. You can start with creating a basic plan using Home Plan Library which has such elements as walls, doors and windows and Dimensioning Library, which has dimension lines, angles and arrows. All these elements are customizable, so you can create any imaginable layout. In case you don't want to focus too much on the building, you can just mark a space for it with one of the roofs from the Roofs Library and concentrate on designing the garden or the yard. Set the boundaries of your territory with the Plots and Fences Library which contains elements of plots of regular and irregular shapes. You can easily fill the shapes with different textures like grass or sand. 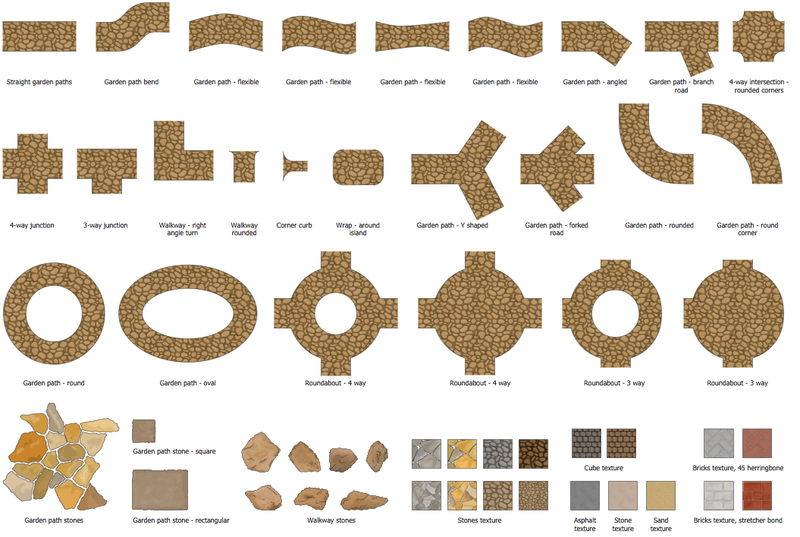 Outline pathways and walkways with the Garden Paths and Walkways Library, which also has a variety of textures of different colors such as brick, stone or asphalt. Have you ever dreamt about your own pool in your garden? 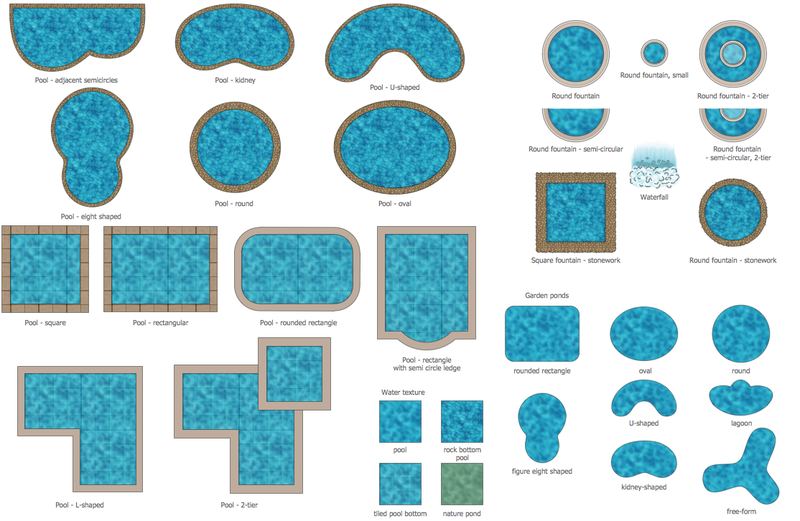 Just add one of the pools from the Ponds and Fountains Library to your plan to see if it fits. 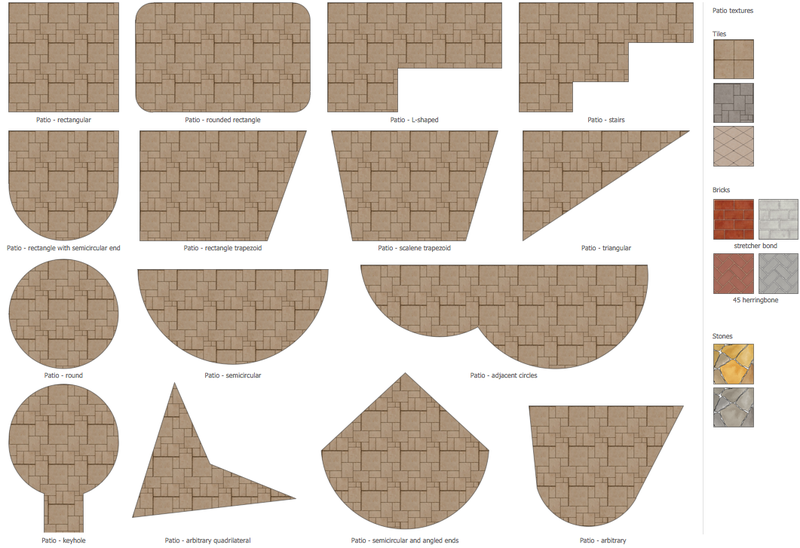 Design your patio with the Patios Library, which consists of patios of different shapes: rectangle, round etc. Spice up your plan with various little details and accessories: furnish the patio with colourful umbrellas, wooden benches and sunbeds, pot plants or swings. All these elements you can find in the Outdoor Recreation Space Library, the Garden Accessories Library and the Garden Furniture Library. It is undeniable that no garden can exist without the greenery. 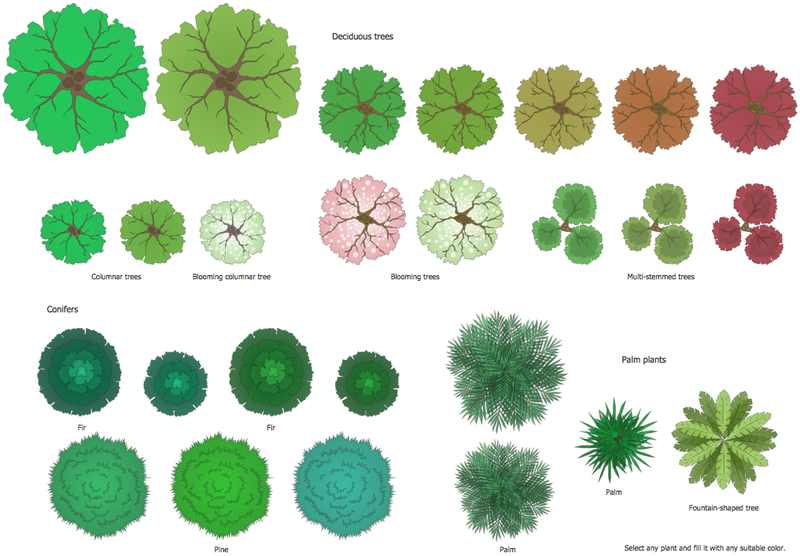 So, that's why Landscape and Garden Solution has 5 libraries containing bushes, trees and flowers. 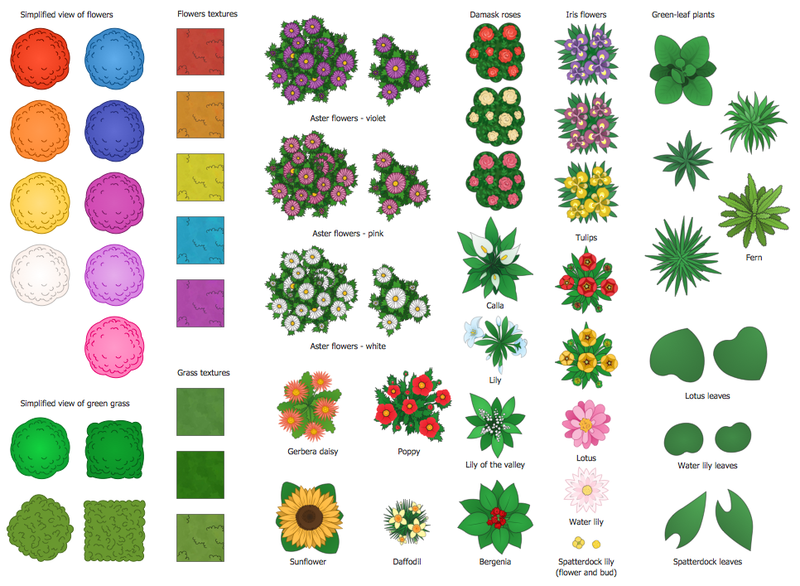 The Flowers and Grass library is a set of vector objects depicting flowers like tulips, lilacs, roses etc., various leaves, flowers and grass textures. The Bushes and Trees Library and Transparent Trees Library contain various shapes of trees which you can fill with different colors and textures. All the libraries from the Landscape and Garden solution are listed below. Landscape & Garden Solution includes also large collection of modern garden design samples and examples. All they were developed by professionals specially for ConceptDraw DIAGRAM users and are available for viewing and editing from ConceptDraw STORE. 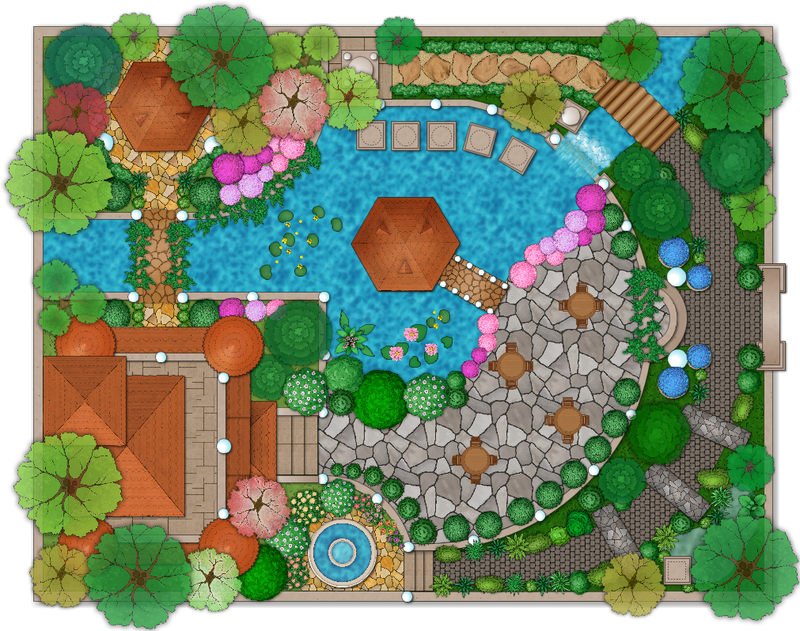 This garden design sample was created in ConceptDraw DIAGRAM using the tools of Landscape & Garden Solution. An experienced user spent 20 minutes creating this sample. You don't need to be an artist to draw professional looking diagrams in a few minutes. 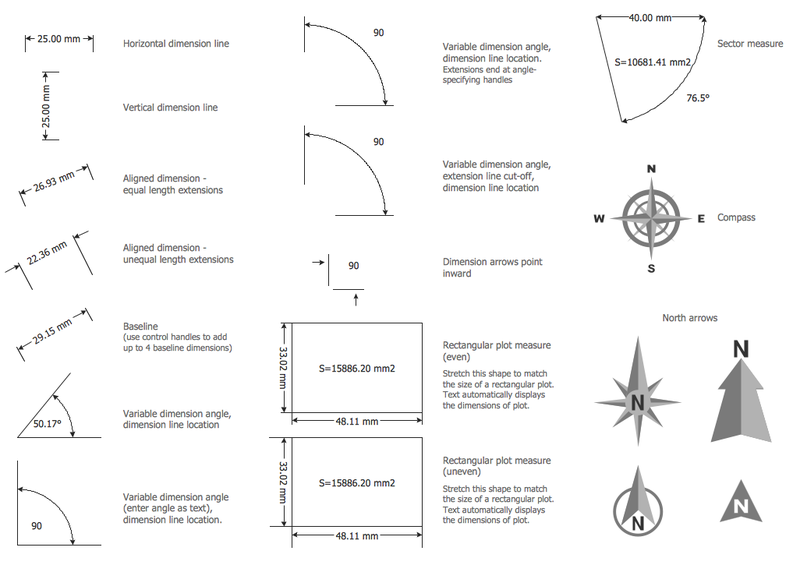 Large quantity of ready-to-use vector objects makes your drawing diagrams quick and easy. 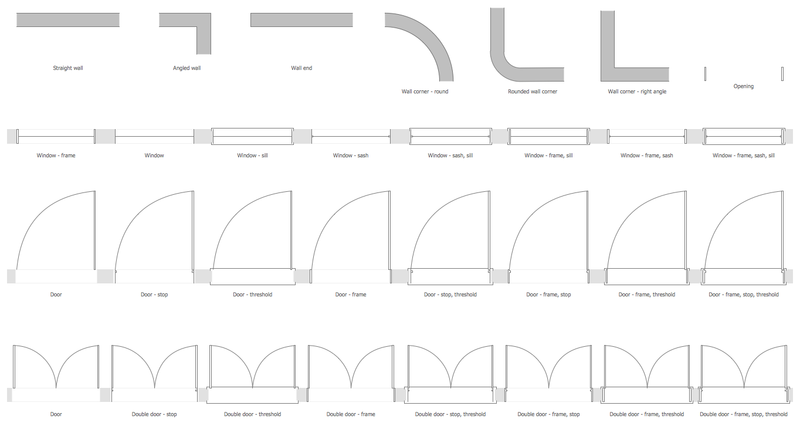 Great number of predesigned templates and samples give you the good start for your own diagrams. 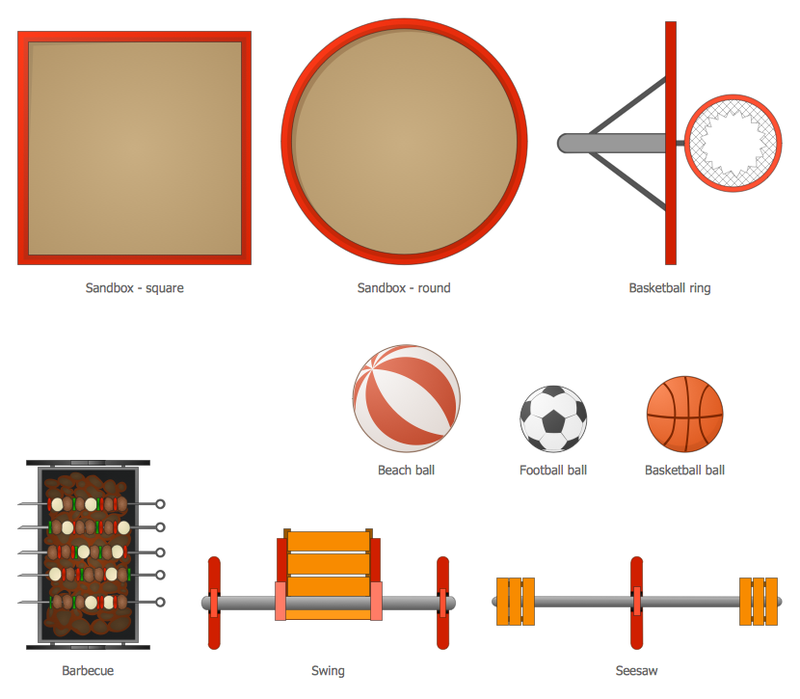 ConceptDraw DIAGRAM provides you the possibility to use the grid, rules and guides. You can easily rotate, group, align, arrange the objects, use different fonts and colors to make your diagram exceptionally looking. All ConceptDraw DIAGRAM documents are vector graphic files and are available for reviewing, modifying, and converting to a variety of formats: image, HTML, PDF file, MS PowerPoint Presentation, Adobe Flash, MS Visio. 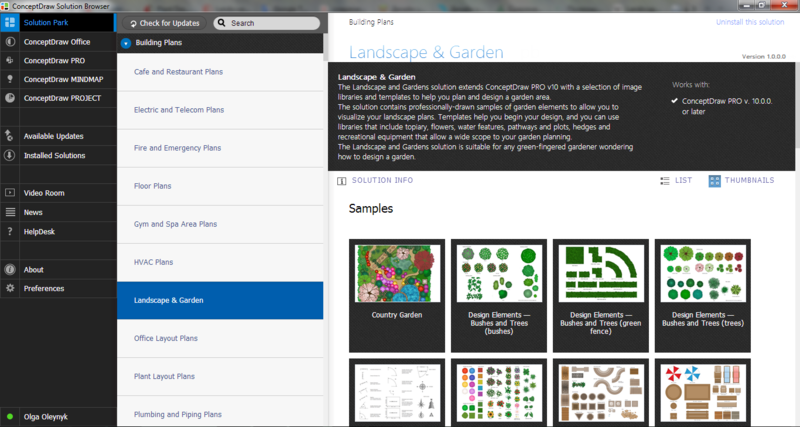 Using ConceptDraw STORE you can navigate through ConceptDraw Solution Park, managing downloads and updates. 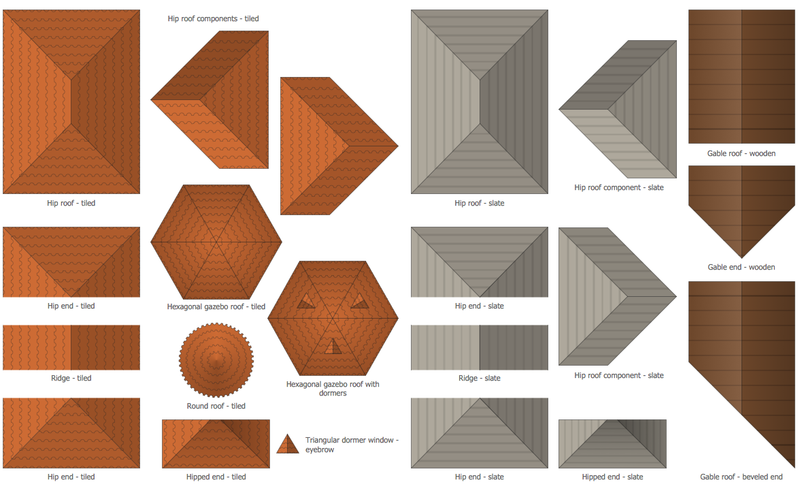 You can access libraries, templates and samples directly from the ConceptDraw STORE. If you have any questions, our free of charge support is always ready to come to your aid. What is landscape design? It's a floor plan but for an outdoor area. Same as a floor plan, a landscape design represents visually any site using scaled dimensions. The main purpose of landscape design is to plan the layout for an outdoor area no matter is it a personal site plan for your home or a commercial plan for business. It may also be handful when a new installation, repair or even an outdoor event is planning. It helps to calculate time and decide which materials should be used in your project. Landscape designs perfectly gives the property owner and landscape contractor better vision for cost estimation, helping to ensure the project time and budget. Aside from decorating inner spaces, which is a realm of interior design, the art of exterior design is about home facades, playgrounds and yards. To start a project, first of all, you need a site plan of the place, and a list of customers’ requirements. With special software you can do a plan of any place like parking, interchange or driveway easily. There is one of the three libraries supplied with ConceptDraw Site Plans solution. It is designed to draw planning areas adjacent to buildings. For example parking, exit road or house territory for rest. This kind of building plans can be used for providing parking control that helps to organize traffic near residential areas. The well considered road planning will improve safety and will help to manage the number of vehicles near buildings. The ConceptDraw library "Parking and Roads" includes vector graphic images of parking spaces, lots and strips as well as street junctions, driveways and interchanges. Nowadays, any architect or landscape designer can't do without a pack of digital tools for designing and projecting. Thus, there will be no problem to develop any landscape architecture plan with ConceptDraw DIAGRAM v12, especially since there are so many ready-to use templates and examples included. It's just as easy as drawing sketches on paper. If you using ConceptDraw DIAGRAM v12 there is no needs to have a professional skills on landscape and garden design. As well as you don't need to be an expert in architectural charts and plans drawing. The all you need is the Landscape and Garden solution. 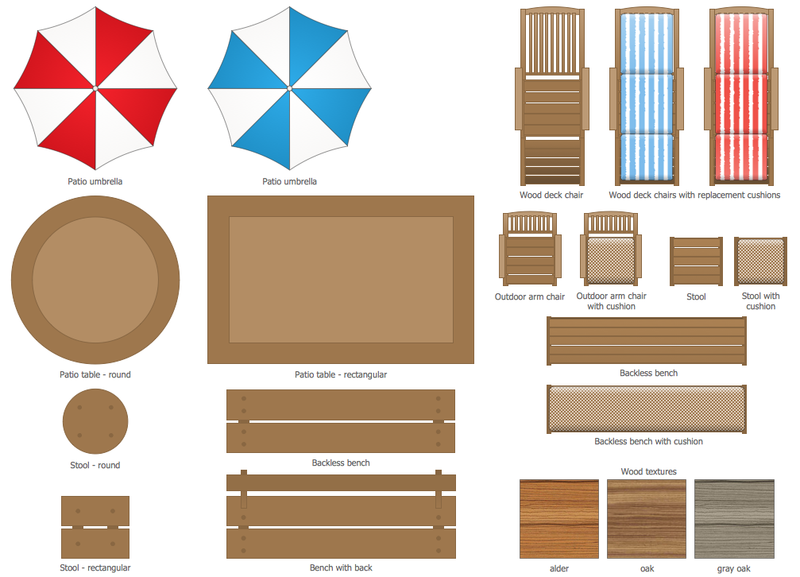 This solution contains a unique collection of the professional designed vector objects depicting flower and grass, bushes and trees, garden furniture, pools and accessories. 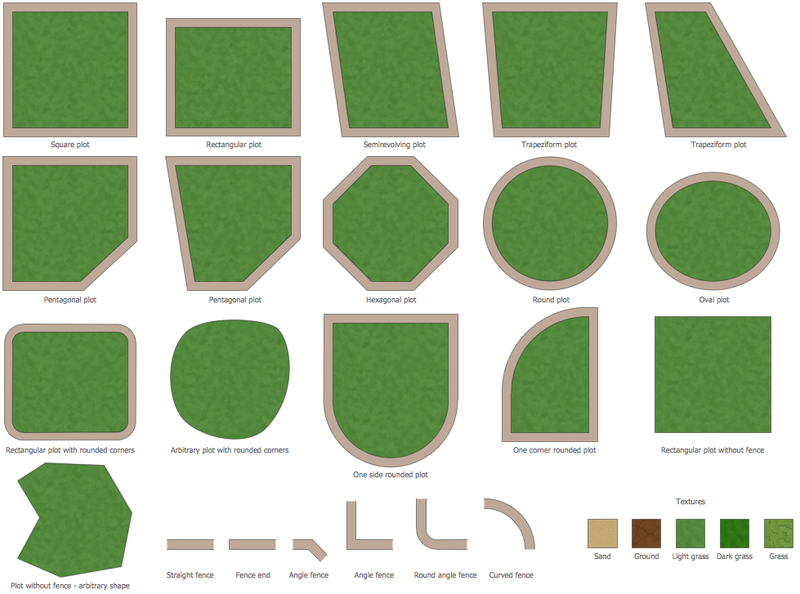 In one word - the full set of graphical elements enabling to focus on the creativeness while creating your landscape and garden plan. There are several basic topologies including bus, star, point-to-point, ring and a hybrid. Two computers can form a fully connected network topology, and as the number of network nodes increases, the network diagram gets more complicated. This type of topology is also called a full mesh. This is a visual example of a computer network built using a mesh topology. This diagram presents the schematic structure of the full mesh network topology. A common mesh network topology means that each network device is connected with several points in the network, so if the one node of the network goes down, it does not cause an issue with an operability of the entire computer network. In a full mesh network topology, every computer or device in the network is interconnected with each of the other devices in the network. Interior design is an art of planning and coordinating the space in a building or on a floor to produce a charming and convenient environment for the client. You can ask professionals for help, or you can create floor plans easily with ConceptDraw DIAGRAM v12, using diverse libraries or altering numerous templates. You don’t need no formal training anymore to be a designer, isn’t it great? Using a ConceptDraw DIAGRAM v12 floor plan software makes depicting of home or office layout ideas a simple task. It does not require special skills to make detailed and scaled floor plans. Adding furniture to design interior is also a breeze. You can draw and furnish your floor plans with a floor plan software. Moreover, using software for floor planning you gain an opportunity to share your plans and high-resolution images of your designs with clients or stakeholders. Includes thousands of ready-made building plan symbols that you simply stamp to create your drawing. Food courts are very popular places. You want to increase attendance, advertise and invite attention to your food court? Make interesting design and create pictorial and bright food art posters and signboards, and don't forget to decorate your menu with images of tasty treats! ConceptDraw DIAGRAM v12 diagramming and vector software supplied with Food Court solution from the Food and Beverage area of ConceptDraw Solution Park offers powerful drawing tools for effective food art. The preparation of the meal is incredibly interesting process, but it usually requires a lot of time, therefore in active modern life the quick recipes are so popular! They usually consists of 3-4 easy steps and allow to get the stunningly delicious result in a few minutes. ConceptDraw DIAGRAM v12 extended with Cooking Recipes solution from the Food and Beverage area of ConceptDraw Solution Park is ideal software for illustration quick recipes and designing colorful, attractive and detailed step-by-step recipes. Fruits are unique products, they are beautiful and delicious, and look amazing in the compositions. Fruits are perfect for decorating various dishes, desserts and beverage. Each composition of fruits is a real fruit art! ConceptDraw DIAGRAM v12 diagramming and vector drawing software extended with Food Court solution from the Food and Beverage area of ConceptDraw Solution Park perfectly suits for fruit art design and easy drawing attractive food and beverage illustrations. 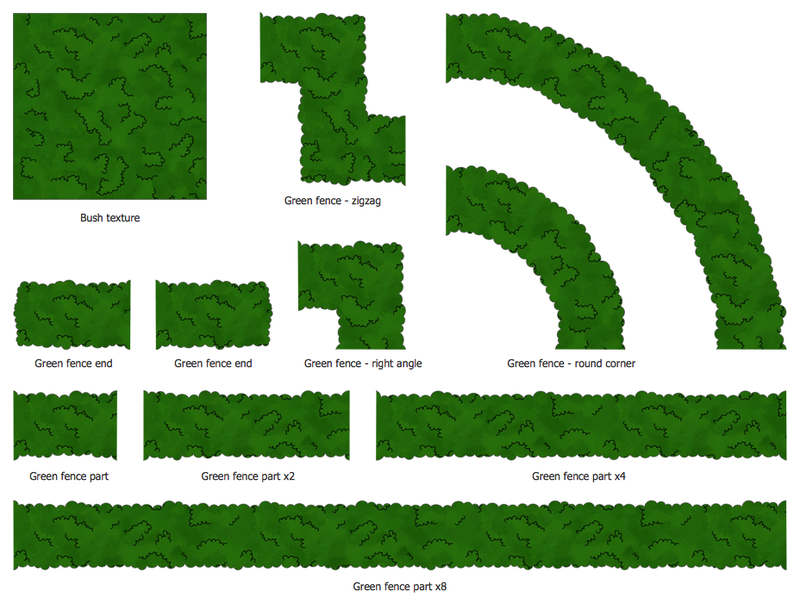 It’s not easy to plan all the details of your landscape at once. Therefore, you can use a bubble diagram to create a draft of the future project. 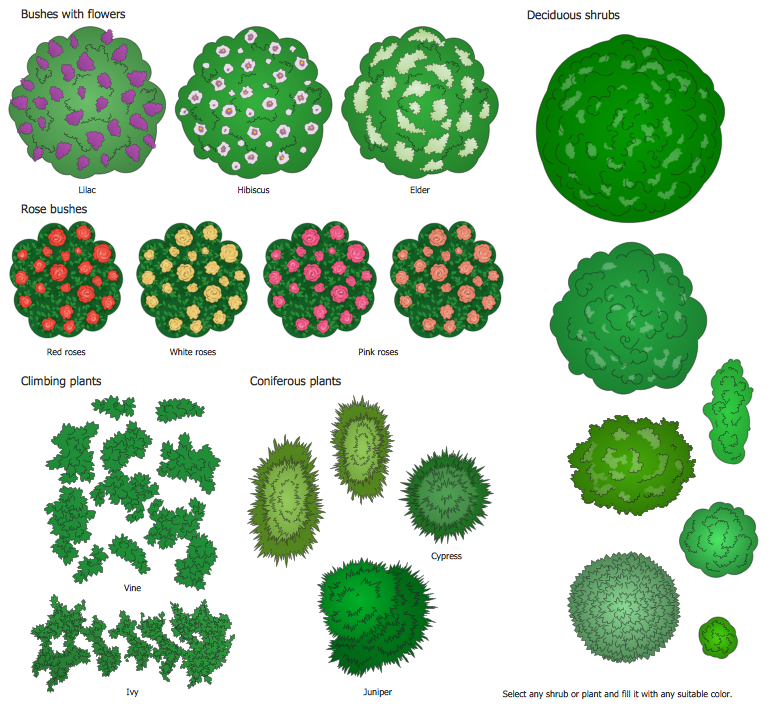 You can develop any bubble diagrams and use them in your landscape design project with ConceptDraw DIAGRAM v12 and it’s predesigned templates. This bubble diagram can be applied while initiating the development of garden and landscape design. The bubble diagrams used for this purpose are different from the classic bubble diagrams. Being used in landscape and garden design, they obtain the quite another understanding. Bubbles in this diagram visualize some captured areas, which define the general spaces of a future garden: lawn, flower garden, pool, built-up area, lighting, etc. 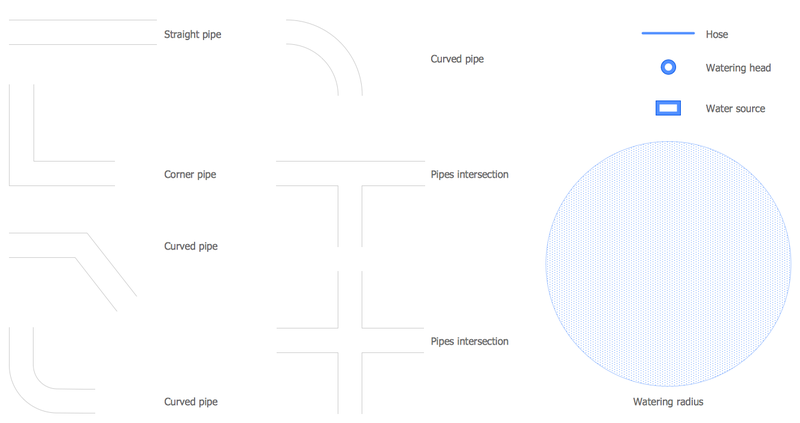 The bubble diagram represents the landscape project without any special expenses on its creation. It is better to make such simple sketch before you drill down into detailed project and cost estimates.